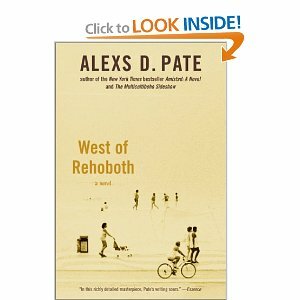 Richly conceived, this novel by the Alexs Pate, author of the official tie-in to the Spielberg movie Amistad, relates the story of 12-year-old Edward Massey, chubby self-appointed boy detective, and his summer adventures at Rehoboth Beach. The year is 1962, and Edward and his family have escaped the festering gang violence of steamy Philadelphia to spend the summer in deceptively cool Rehoboth, Delaware. The beach-town community, now the playground of the wealthy but originally settled by those seeking religious unity and escape from the moral decay of cities, is a world of contrasts, with its segregated beaches and restricted areas. The white inhabitants depend on the African-American residents to staff hotels, restaurants and homes, but do their best to ignore their presence. Edward’s Aunt Edna is a pillar of Rehoboth’s black community, the owner of a restaurant and candy store where the black townspeople gather.